The Buddy Boss armchair and sofa share a compact, perfectlyproportioned profile. The clean-cut geometry of the seat is softened by the matelassé stitching. 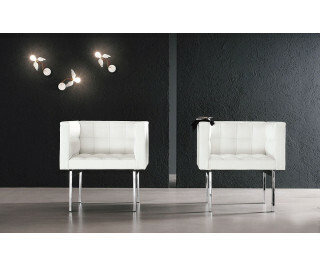 The embodiment of international elegance, the Buddy Boss sofa and armchair are ideal in a range of settings.